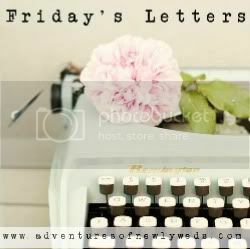 Our Sweet Love Story: Friday's Letters - Just One! While I am so thankful it is Friday, my heart is kind of heavy right now. I just wanted to stop and write this one letter to get this off my chest so to speak. 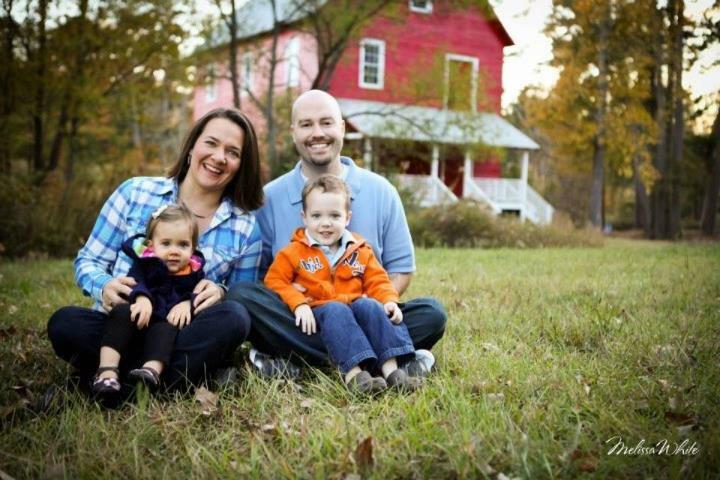 First, it was little 4 year old Henry's diagnosis of terminal brain cancer. Then, the little 2 month old Piper from my hometown diagnosed with a neuroblastoma near her heart and spine. I know You know what You are doing, but I have not mastered the ability of giving problems completely over to You. I am a worrier. Just ask my husband! I wake up at night sitting straight up in bed saying "Where's the baby?" all the time because I guess even my subconscious worries too much. I trust You with these little lives as well as all those little ones who are stricken with terrible sicknesses and diseases. I know that these little ones are yours and that You know best. I don't understand why they have to go through such tremendous trials, but I know that You are a God of miracles. Please understand that I'm not questioning You. I just need a little help giving all my worries over to You. Oh, how I can so relate to you. My heart is heavy with each painful story. I worry so much I would get an A+ in worry class. I love Jesus with ALL of my heart, but loss and sickness hurts this girl's heart. Is this the price of real love? I tend to think it is. I wouldn't trade my loving heart, but oh how I never want hurts to happen to anyone. I too echo your thoughts Sherry. I know God has a plan but at this moment it doesn't make any sense to me. There is so much loss surrounding me right now and I worry a lot too. I am praying for Henry and I will add little Piper to my list as well. What a day it will be when we are all rejoicing with God and we understand the greatness of His plans fully. Oh yes, I look forward to knowing and understanding God's plan. I read a happy story tonight about God's plan for a little boy who was born at 30 weeks gestation and put up for adoption by his birth mom. His adoption plan had to be put on hold because he wasn't expected to live and had so many health problems. But he fought to survive, and his physicians said that what he needed were "parents" and a family to bond with during this precious time while he was in NICU. This family had been waiting a long time to adopt their second child, and one day their little girl came running to them and said Jesus told her she would get her little brother that day. Turns out, that same day unknown to them the birth mother had signed away her parental rights to the little boy. It was a few weeks later before the adoptive mom called her old adoption agency to check in, and they social worker told her she thought they were the perfect family for the little boy and she had been planning to call her. They went to be with him through all his medical struggles, and he is now 7 months old. What a miraculous story of God's amazing works! It truly gives me hope! This post just breaks my heart. I will say a huge wow to you for putting this out there. I have had my faith tested in the past and I lost it. I really admire you for staying strong and keeping your beliefs. I hope all turns out okay with these sweet babies. No parent should ever endure this. I know what you mean about losing your faith when you've been tested to your limits. Although I have never personally experienced the devastating loss of a child, I feel like I can't breathe when I think of anything happening to mine. I will wake up from having one of my "paranoid" dreams about them, and my heart is pounding so hard. I have to take a deep breath and convince myself it wasn't real. Ugh, I hate being a worrier! I just can't help but want to reach out to these parents who truly do have to go through this type of loss. It is my worst nightmare come true. Yet, these parents are such an inspiration to me as they find the faith needed to stay strong for their little ones and their families. I just don't know what else to do but pray!